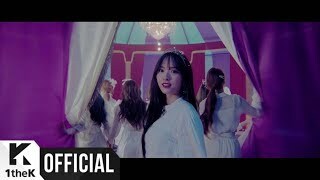 Cosmic Girls (Hangul: 우주소녀; Hanja: 宇宙少女; RR: Uju Sonyeo; Chinese: 宇宙少女; pinyin: Yǔzhòushàonǚ), also known as WJSN, is a South Korean-Chinese girl group formed by Starship Entertainment and Yuehua Entertainment which debuted in 2016. Their first extended play Would You Like? was released on February 25, 2016.